The first United States Secretary of the Treasury thought that slavery was completely unfair. In a letter from Hamilton to banker/lord mayor Sir Francis Child Jr., Hamilton said that slaves “Were men though degraded to the condition of slavery. They are persons known to the municipal laws of the states which they inhabit, as well as to the laws of nature.” Hamilton knew that there was a love-hate relationship among the other founders with the topic of slavery. Many of the founders who were in favor of abolitionism could not get past the fact of how profitable and economically beneficial it was. Many of the southern states profited heavily from slavery. Staples of tobacco, rice, indigo and other resources created a large source of profit. Their resources were considered property as well as the slaves. Slavery had been a granted social norm and was difficult to disassemble. Founders like Hamilton knew the moral negatives, but overlooked them because of the financial positives and widespread acceptance. 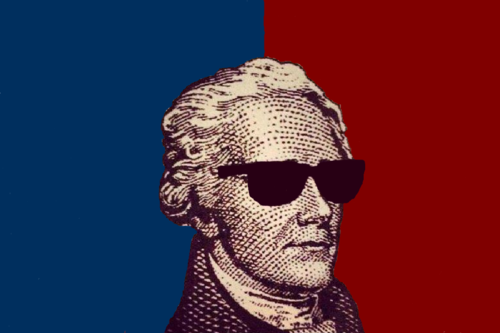 According to Hamilton, concerning the Three-Fifths Compromise, “They are persons to the municipal courts of the states which they inhabit, as well as the laws of nature.” Hamilton tried to show that taxation and representation went together. Many slave holders would have “a great number of people in your State which are not represented at all; and have no voice in your government: These will be included in the enumeration—not two fifths—nor three fifths, but the whole. This proves that the advantages of the plan are not confined to the southern States, but extend to other parts of the Union.” This showed that the profitable gray areas still recognized slavery and kept the privileged whites in control. Hamilton’s moral abolitionist ambitions coincided with the idea of property rights. His moral abolitionist side clashed with his prestigious images of patriot, soldier, and statesman. One questionable action by Hamilton was the continuation of aid to the French colony of Haiti against African slave revolts during the Haitian Revolution. In a 1792 letter from Thomas Jefferson to French ambassador Jean Baptiste Ternant, Jefferson expressed how the United States felt in debt to help France. “I am authorized to inform you that the sum of 40,000 Dollars shall be paid to your Orders, at the Treasury of the United States, and to assure you that we feel no abatement in our dispositions to contribute these Aids from time to time.” Hamilton approved this payment to help France fight slave revolts in Haiti. The U.S. felt they needed to help France from their mutual support and to show that violent slave revolts would not have gone unpunished. Hamilton may have approved these funds, but not necessarily how they were used. Rather than resort to violence like in Haiti, Hamilton attempted to see bigger potential for African Americans. If they were to be considered property, maybe they could prove that they weren’t through military service. Hamilton was able to see past the labels of being a slave. Hamilton tried to look to bigger opportunities for enslaved individuals. Hamilton did have military experience and used this in his new proposal. Hamilton pursued a loophole by proposing that slaves enlist in the Continental Army. In a letter to John Jay, Hamilton proposed, “to raise two three or four battalions of negroes; with the assistance of the government of that state.” Hamilton tried to reason that it could help ease tensions between slaves and slaveholders as well as strengthen the Colonial Army cause. “I foresee that this project will have to combat much opposition from prejudice and self-interest.” Many slaveholders will not want to part ways with their slaves (property), but if they did not, they would have faced a bigger threat from the British. “But it should be considered, that if we do not make use of them in this way, the enemy probably will; and that the best way to counteract the temptations they will hold out will be to offer them ourselves.” Hamilton saw that the British would have done the exact same thing. Hamilton and John Jay saw the bigger picture of the proposal. They were abolitionists at heart despite being slaveholders. The major problem was swaying the masses to show that the Negroes would make good soldiers under Lieutenant Colonel John Laurens. As mentioned by Hamilton to Jay, “ I will venture to pronounce, that they cannot be put in better hands than those of Mr. Laurens. He has all the zeal, intelligence, enterprise, and every other qualification requisite to succeed in such an undertaking.” Laurens stood out among his peers because of this pursuit. 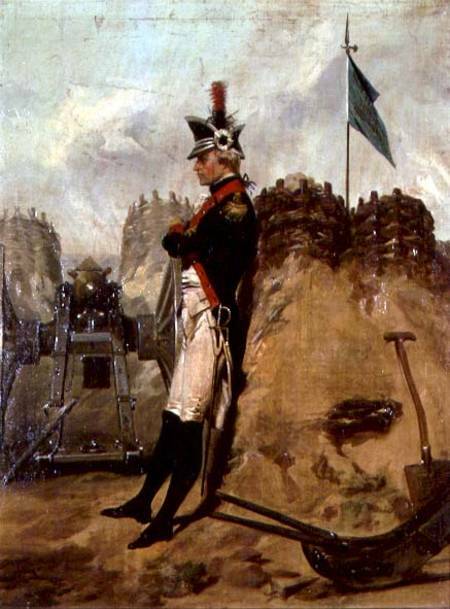 Laurens died a year before the end of the revolution but set a professional standard for black soldiers of the future. This wouldn’t have been set in motion without the support of those like Hamilton and Jay. During the war Hamilton did make measures to start the identity process of Negroes as American Negroes. They were seen as the American’s Negroe, not a Negroe American. This created a sense of loyalty that was solely American and not British. Hamilton acknowledged that even these were people indirectly and that he wanted to keep them in the country. Hamilton could not outwardly say that the blacks were not property. The fact that he stood for a more abolitionist approach proves his good intentions, but with no real way around it. The only methods he had were to make blunt, baby-steps. On May 26th, 1783 a motion of protest against British practice of carrying off American Negroes. An archival Continental Congress paper said, “During the war approximately two thousand Negroes had sought refuge behind the British lines. Contrary to the stipulation of the peace treaty that they be returned, Sir Guy Carleton, the British commander in America, did not return them.” According to this paper“ The preliminary peace treaty included an article forbidding the carrying away of slave property by evacuating British armies.” This just shows that Hamilton tried to fight for all Americans, white and black without completely admitting he was still a slaveholder. This idea was a little hypocritical, but Hamilton’s incremental influence proved to be more effective for the times. The quote that gave Hamilton justice to this organizes his own situational opinion on Slavery vs. Liberty comes from the “Opinion of the Secretary of the Treasury” on September 15th 1790 Hamilton said that basically the United States was not ready to accept the idea of slaves possessing the idea of liberty that was created by the founders. “It is possible indeed that the enthusiasm which the transition from Slavery to Liberty may inspire, may be a substitute for the energy of a good administration, and the spring of great exertions. But the ebullitions of enthusiasm must ever be a precarious reliance. And it is quite as possible that the greatness, and perhaps immaturity, of that transition may prolong licentiousness and disorder.” The future ahead of 1790 possessed much disorder. The transition was a bumpy ride. Americans soon came to realize that slaves possessed the same liberty that the founding fathers had. Continental Congress Motion of Protest against British Practice of Carrying off American Negroes, [26 May 1783],” Founders Online, National Archives (http://founders.archives.gov/documents/Hamilton/01-03-02-0239 [last update: 2015-02-20]). 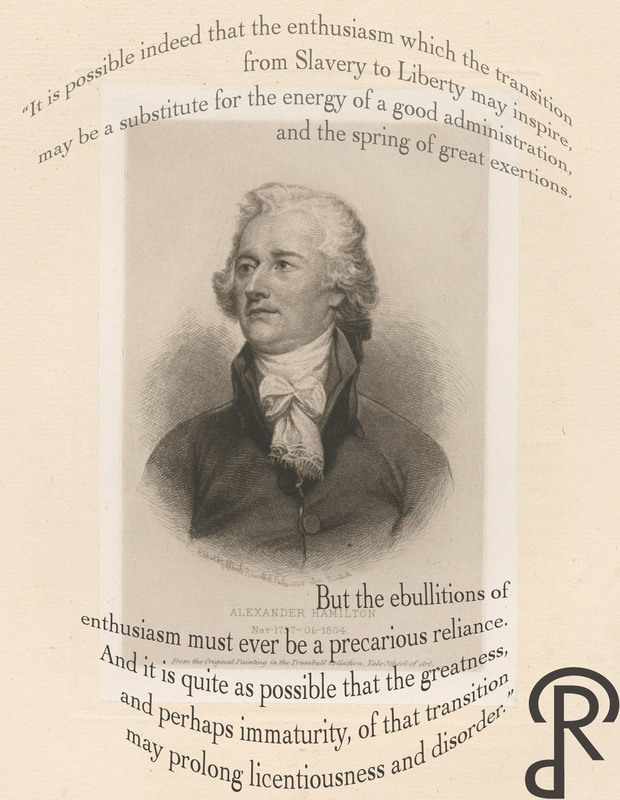 Source: The Papers of Alexander Hamilton, vol. 3, 1782–1786, ed. Harold C. Syrett. New York: Columbia University Press, 1962, p. 365. “From Alexander Hamilton to John Jay, [14 March 1779],” Founders Online, National Archives (http://founders.archives.gov/documents/Hamilton/01-02-02-0051 [last update: 2015-02-20]). Source: The Papers of Alexander Hamilton, vol. 2, 1779–1781, ed. Harold C. Syrett. New York: Columbia University Press, 1961, pp. 17–19. “From Thomas Jefferson to Jean Baptiste Ternant, 20 November 1792,” Founders Online, National Archives (http://founders.archives.gov/documents/Jefferson/01-24-02-0632 [last update: 2015-03-20]). Source: The Papers of Thomas Jefferson, vol. 24, 1 June–31 December 1792, ed. John Catanzariti. Princeton: Princeton University Press, 1990, pp. 652–654. “New York Ratifying Convention. Remarks (Francis Childs’s Version), [20 June 1788],” Founders Online, National Archives (http://founders.archives.gov/documents/Hamilton/01-05-02-0012-0005 [last update: 2015-02-20]). Source: The Papers of Alexander Hamilton, vol. 5, June 1788 – November 1789, ed. Harold C. Syrett. New York: Columbia University Press, 1962, pp. 16–26. “XV. Opinion of the Secretary of the Treasury, 15 September 1790,” Founders Online, National Archives (http://founders.archives.gov/documents/Jefferson/01-17-02-0016-0018 [last update: 2015-02-20]). Source: The Papers of Thomas Jefferson, vol. 17, 6 July–3 November 1790, ed. Julian P. Boyd. Princeton: Princeton University Press, 1965, pp. 143–161.